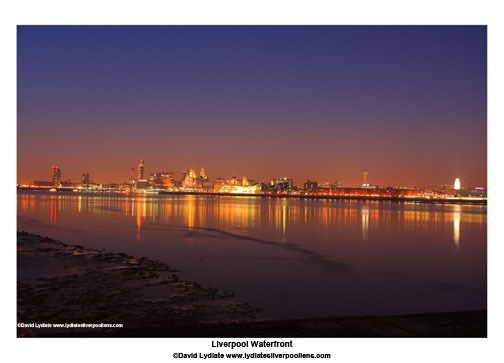 Local photographer David Lydiate is presenting his work inspired by the City of Liverpool at the Liverpool Town Hall. For two days only as part of the Town Halls open days, David is presenting his Pretty Woman and Liverpool II exhibitions. Inspired by the city of Liverpool, David’s work focuses on the city’s unique blend of architectural style, different cultures and wide variety of events the city holds. A wide variety of images on display, all focusing on how unique Liverpool as a city is, from his successful Pretty Women exhibition to a wide variety of images focused on Liverpool’s famous waterfront and River Mersey. The exhibition celebrates what makes this city so special and shows just how unique it is. As a city we love to celebrate this and the different cultures and events and festivals which brings the people of Liverpool together. This isn’t any ordinary exhibition, David is selling prints, of varying sizes, of his work in aid of BloodWise UK, a charity focused on finding the cure for blood cancers, Leukemia and Lymphomas. Having a look around Liverpool Town Hall is a unique opportunity in itself. So while you’re looking around have a look up the grand stairs to see David’s fantastic work and donate some spare change, as it’s for such a fantastic cause.